I have read many books on anxiety, worry, CBT, REBT, and both the Worry Trick and the Worry Cure. In my view I have found that CBT has some flaws where a person disputes thoughts, but how do you dispute irrational thoughts if you are in a mental place of being irrational (worries and anxieties). I was please do hear the author state this very similar concern with CBT. 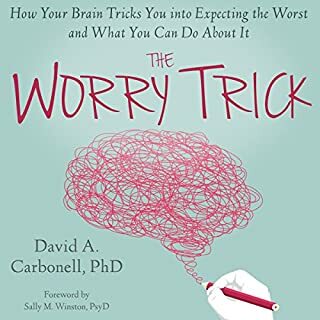 The information in this book about how worries start, how to "change your relationship" with worry, how to use counter intuitive approaches has been a big help to me. 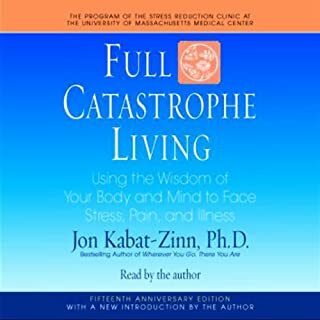 I would say out of decades of reading and working through various anxiety issues this book has had the most positive impact on my thinking and approach to worry. I have so many notes in this audible book that I wrote many down for a daily a guide and bought the printed book. This book is pure gold. I had it to two weeks and on my second listen. The author goes on with example after example of why people have low self esteem. This goes on and on. I kept skipping forward until.. it was obvious there is nothing worthwhile in this book. 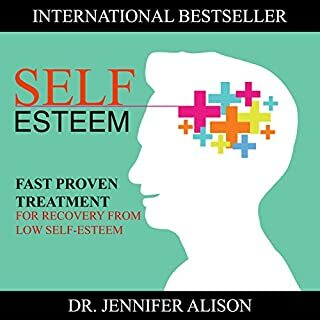 If you know your self-esteem issues are related to issues in childhood (alcoholic parents, other issues) then there you go. You have the gist of this book. I do not see any practical advice in this book. This book is one story of one person after another. One study after another. Very little practical advice. She pulls some word for word on ACT, canned techniques, tons of filler. This is what you get when you try to make a book out of an article. I've listened to this multiple times to gain inside from the book. they stayed in correctly that singer does not give any guidance his book is all about guidance. We all long to be free of our discomfort and experience inner peace. However, the attempt to get rid of our discomfort is misguided. We're not broken and don't need to be "healed". Our difficulty is that our deeply suppressed emotional imprints from childhood distract us from an awareness of the present moment. Until this emotional charge from our past is integrated, our attempts to quiet our thoughts and access the peace, joy, and love that are bedrock to our being are of only limited success. First Two Hours - The Presence Process will.. 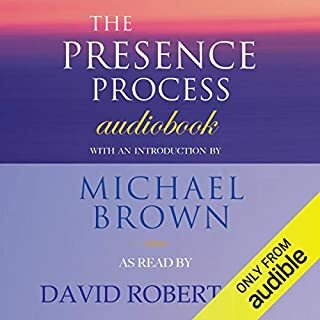 The author talks about that the "Presence Process..." will do this, do that, it will do a, b, c. He says "The Presence Process" probably 200 times during the first two hours. But does not give you any guidance about it. Finally when it gets to Week 1, I had enough and returned it. 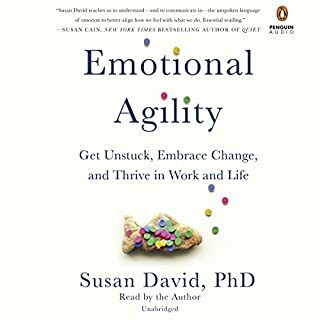 This book is mainly a discussion of all the issues we run into in our daily lives stress at work stress at home how we think how we feel. Yes John, I know my areas of stress, yes I know it causes this, that and the other thing. When are you going to get to some practice advice? One good thing was a discussion about body scan meditation. The rest of the book, seriously, you walk away with no guidance. It seems more like an advertising for their stress reduction Clinic. 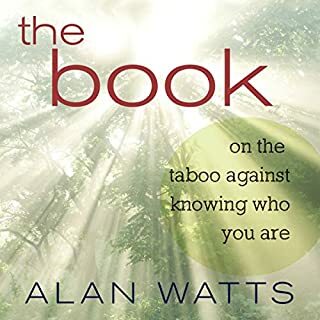 There is an exercise for a couple of meditations but that's it this book has very little value. 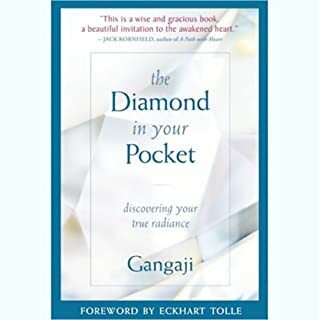 The Diamond in Your Pocket, the first major book release from Gangaji, describes our never-ending search to find fulfillment, which, paradoxically, is already present if we will only stop long enough to discover its true source. The first chapter had some insightful information, but the mono-tone delivery is so mind-numbing it is hard to absorbed anything. I am going to look at buy the book. 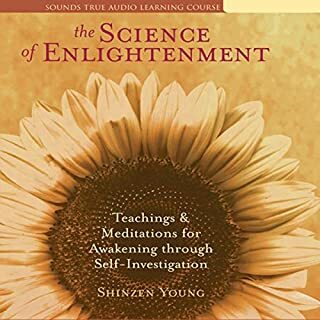 There are a few good meditations on this audio. The best one is on the mind (you can buy it on Audible for $2.00). 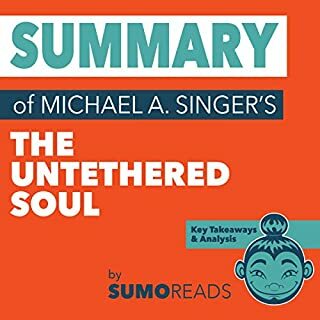 Shinzen has many great things to say, but this book has so many long-winded stories about this master, that master, and how they experience meditation. I did not find it helpful. I skipped seeing a lot of this filler type material. One great things is about how resistance to troublesome feelings along with thought multiply suffering. If we can have equanimity (balance in the mind) and just watch the feeling + thoughts. When you just watch your suffering (his example) is 10 + 10 = 20 (feelings + thoughts) when are wrapped up in both, this is where suffering happens and is like 10 * 10 = 100. Getting wrapped up in the feelings + thoughts is where the trouble starts, if we can just watch they will pass. This is inline with Vipassna. 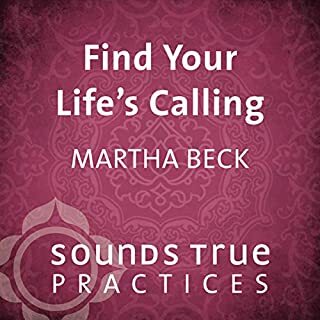 Martha Beck in one of her audible books reads at tone you can listen to, but if you watched her Ted Talks or YouTube her tone is a bit abrasive. Not that she is, but just her voice. This does not work in a meditation book. I could not get beyond moment or two. Preview it before you buy. Ideaa may have been eye opening in the 60's "everything is connected" but that concept is very common and accepted today. Then some dragged out discussions that went no where. Could not continue wiry this book. Mind numbing.